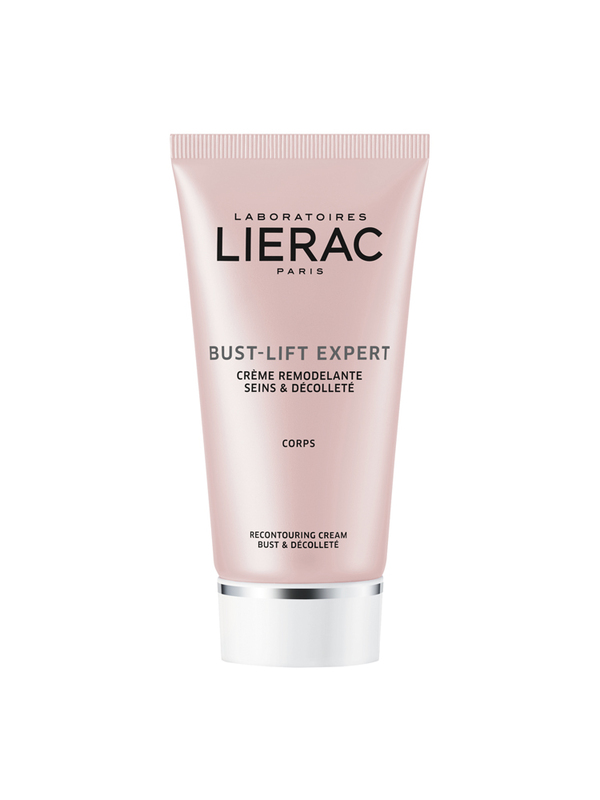 Lierac Bust-Lift Expert Anti-Aging Recontouring Cream Bust and Décolleté 75ml is a recontouring cream specially formulated for bust and décolleté. This care tightens the skin of the bust, smoothes the décolleté. Apply twice a day in circular massaging movements. External use only. 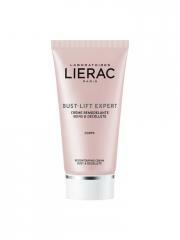 Indication: Firmness of the skin, bust and décolleté. Aqua/Water/Eau, Dimethicone, Glycerin, Caprylic/Capric Triglyceride, Cetyl Palmitate, Myristyl Alcohol, Hydrolyzed Hazelnut Protein, Glyceryl Stearate, Hexyldecanol, Hexyldecyl Laurate, Paraffinum Liquidum/Mineral Oil/Huile Minérale, PEG-100 Stearate, Sodium Polyacrylate, Hydrogenated Polydecene, Glycolic Acid, Myristyl Glucoside, Nylon-12, Citrus Unshiu Peel Extract, Tromethamine, Parfum/Fragrance, Phenoxyethanol, Sodium Lactate, CI77891/Titanium Dioxide; Dimethiconol, Citric Acid, Sodium Benzoate, Sodium PCA, PPG-5-Laureth-5, Xanthan Gum, Lactic Acid, Malic Acid, Propylene Glycol, Potassium Sorbate, Pyruvic Acid, Sodium Hyaluronate, Tartaric Acid, PPG-1-PEG-9 Lauryl Glycol Ether, Sodium Citrate, CI14700/Red 4, CI17200/Red 33, Biotin.